Many countries around the world are at the onset of a care crisis: with the ageing of the population, and continually increasing rates of female labour participation, families are increasingly turning to domestic workers to care for their homes, children, and ageing parents. While an increasing share of domestic work is part of the formal economy, domestic work remains one of the sectors with the highest share of informal employment. 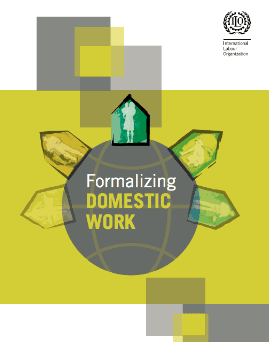 This new ILO report calls for a combination of incentives and compliance to reduce high levels of informality in domestic work.